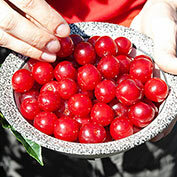 Picking is easy, and the fruits are huge with our newest bush cherry tree. Naturally dwarfed, Wowza! 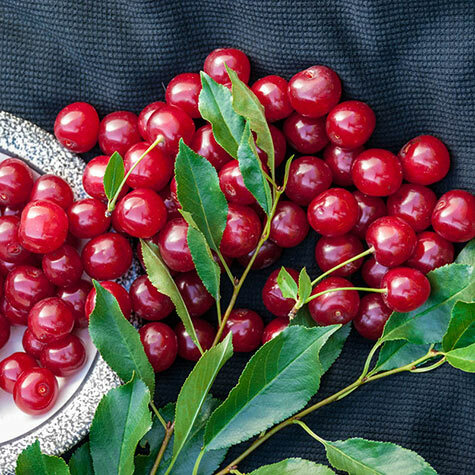 produces plenty of tart, red cherries that cook up beautifully in pies and desserts—no dyes needed! Huge cherries! 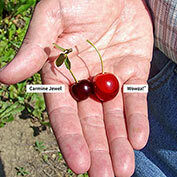 Fruits grow up to twice the size of our popular Carmine Jewel cherries. They have an excellent flesh-to-pit ratio, so you'll have plenty to enjoy. 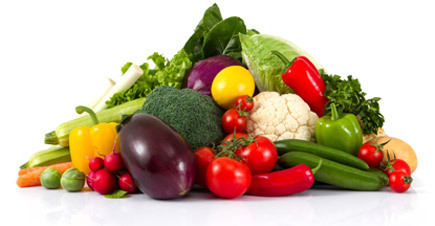 Each plant yields up to 20 lbs. Manageable plants! Wowza! grows 5-8 ft. tall—so netting, pruning and harvesting can often be done while standing on the ground. Plus, it can be grown in patio containers. Cold hardy! Developed at the University of Saskatchewan, Wowza! 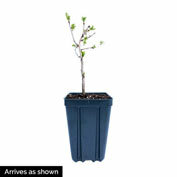 handles the cold and is a great choice for Northern growers. Grows in zones 2-7. Years of Research! 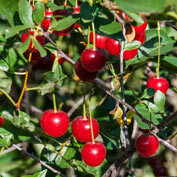 More than 50 years of research has gone into developing cherry trees with cold hardiness, dwarf stature and good fruit quality. Wowza! comes from the same breeding program that brought you Carmine Jewel, Romeo and Juliet. Only offered to home gardeners! Wowza! has an elongated pit that is unsuitable for most mechanical harvesters. 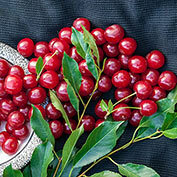 That means this outstanding cherry will only be available for home gardens and u-pick operations. Gurney's is proud to be the first nursery to offer Wowza! to home gardeners. We have a limited supply available for spring 2019. Be sure to order yours today. Hardy to -40 degrees Fahrenheit. Self-pollinating. Zones 2-7. PPAF. Zone: 2 - 7. Hardy to -40 degrees Fahrenheit.